Item # 312623 Stash Points: 6,995 (?) This is the number of points you get in The Zumiez Stash for purchasing this item. Stash points are redeemable for exclusive rewards only available to Zumiez Stash members. To redeem your points check out the rewards catalog on thestash.zumiez.com. 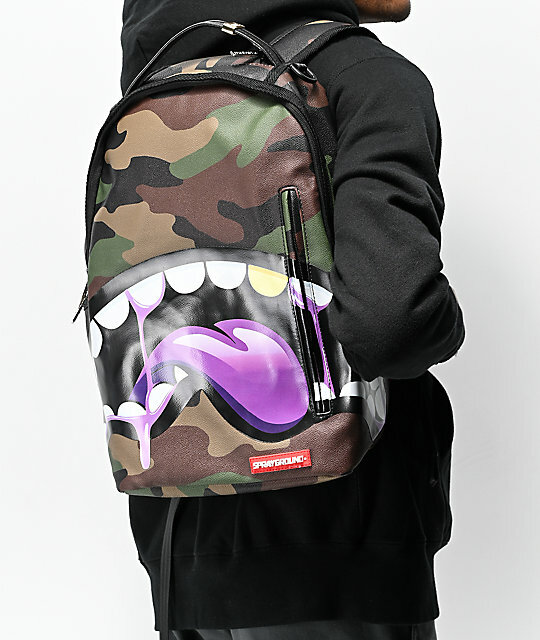 Prep for back to school with the Shark Tongue Remix Purple Backpack from Sprayground. 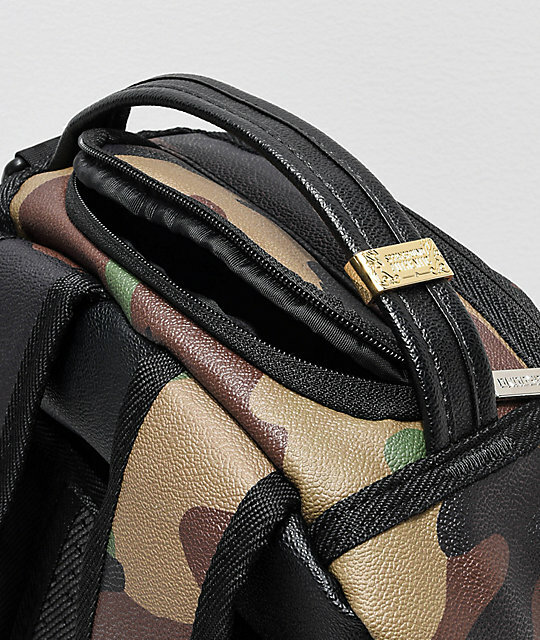 This fresh backpack comes in a sturdy, faux leather construction in a green camo print colorway. Huge, purple, tongue graphics are printed on the front for a one-of-a-kind look. a padded laptop sleeve, and two zip pockets are included on the interior, while there is a vertical zip compartment on the front panel. 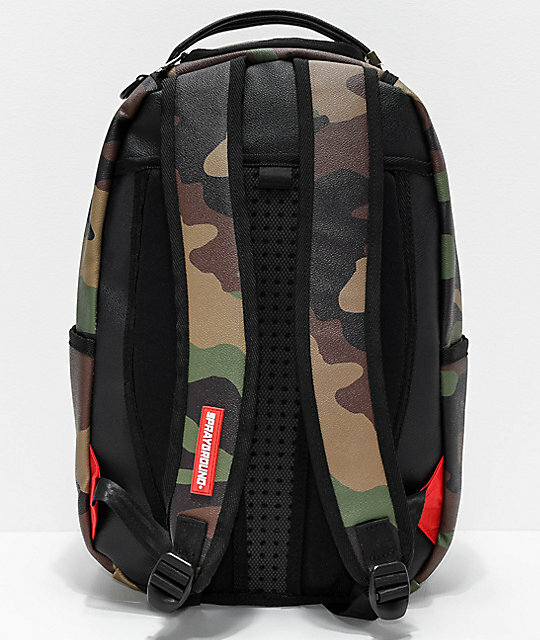 Signature Sprayground branding is added throughout, making this backpack a must-have accessory for any streetwear enthusiast. 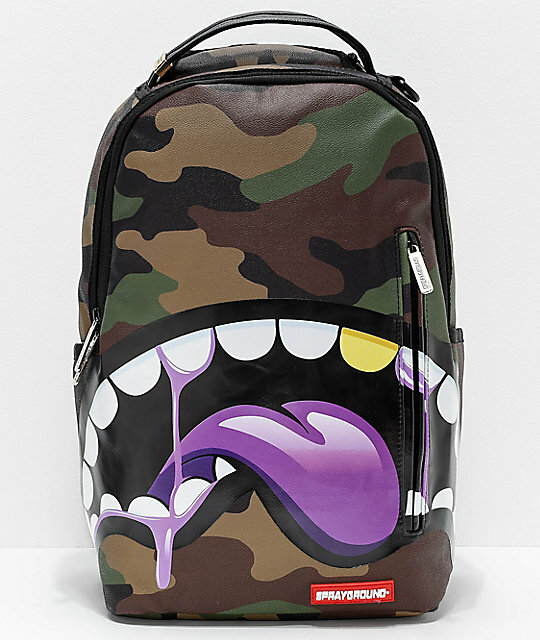 Shark Tongue Remix Purple Backpack from Sprayground. 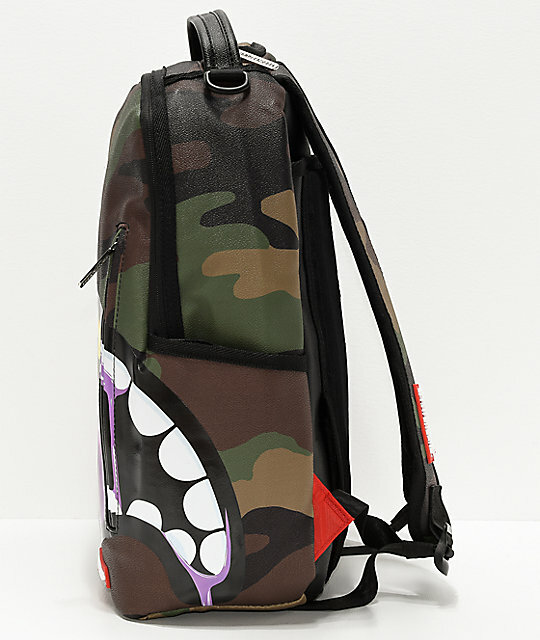 Green camo with printed tongue graphics on the front. Roomy main compartment with two zippered pockets. External pocket with vertical zip closure on the front. Two side slip pockets with hook and loop closures. Velour-lined sunglasses compartment on the top. 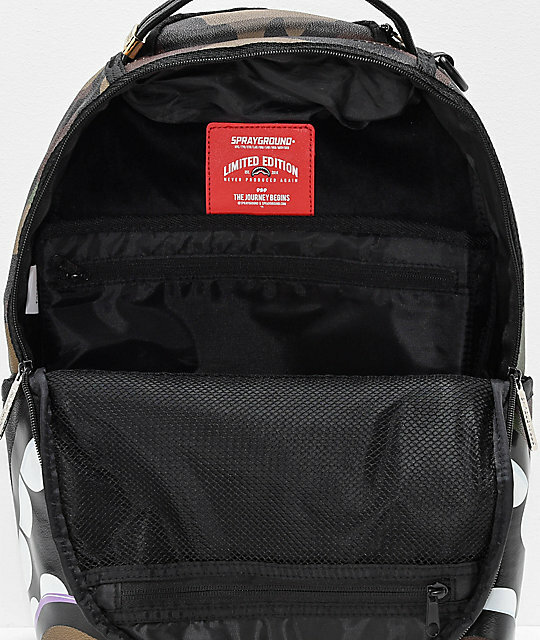 Rubber Sprayground logo patches on the lower front and shoulder strap. 18" H x 11" L x 6" D | 46 x 28 x 15cm. 16" (40.5cm) padded laptop sleeve.